When craving something sweet, whip up our sugarless chocolate pudding. It will satisfy your hunger as well as provide proteins, good fat and fibre. Combine the first five ingredients in a food processor and blend until smooth. Add your favourite toppings and enjoy. Avocados are a great source of good fats and studies have shown that, as part of a well-balanced diet, they can lower the risk of heart disease, improve bad cholesterol levels (LDL) and lower oxidative stress in the bloodstream. 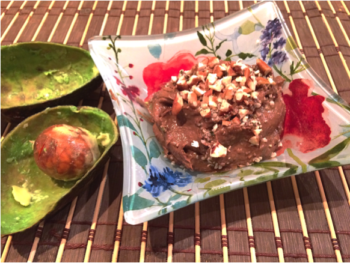 For a printable version of this recipe, click Sugarless chocolate avocado pudding.